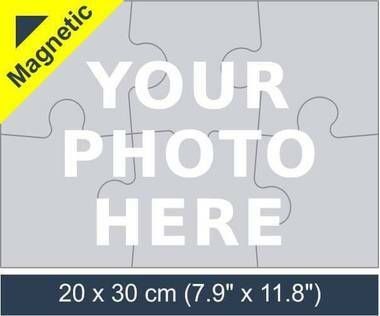 Create your own magnetic jigsaw puzzle with 6 pieces! 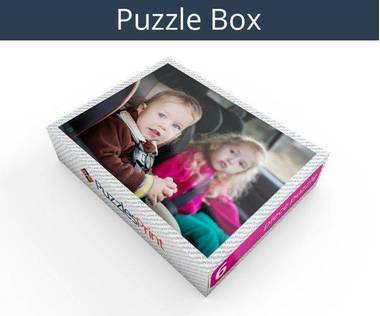 6 piece magnetic photo jigsaw puzzle is great for small kids, as it has only six pieces, but in the same time the pieces are quite large. 6 piece magnetic jigsaw puzzle is great as educational toy for your little one. 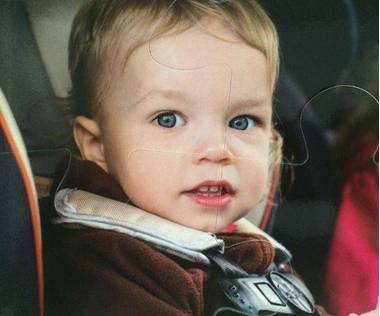 He will have great moments while putting the puzzle pieces together, and also he will be able to do that on your fridge, as our magnetic jigsaws stick to any metallic surface. It’s amazing how easy it is to get excited about things that are stuck on a fridge. 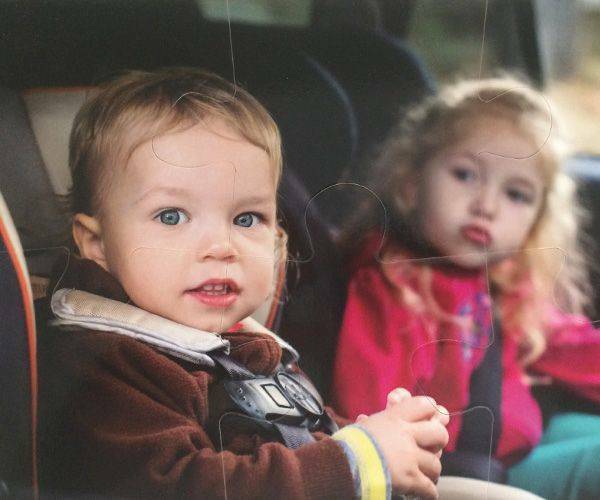 When in the kitchen it is easy to play around with the magnets and children find them just as interesting. 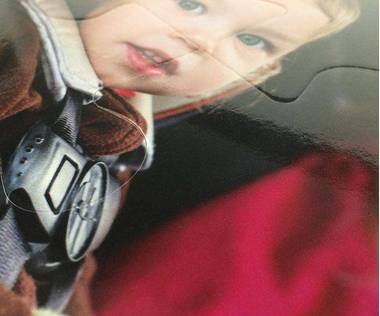 A jigsaw will be entertaining enough for a child, but when it is 6 piece magnetic jigsaw the excitement will go off the scale. Not only will there be the fun of moving the pieces around but this will be a special jigsaw as it has a photograph on it. 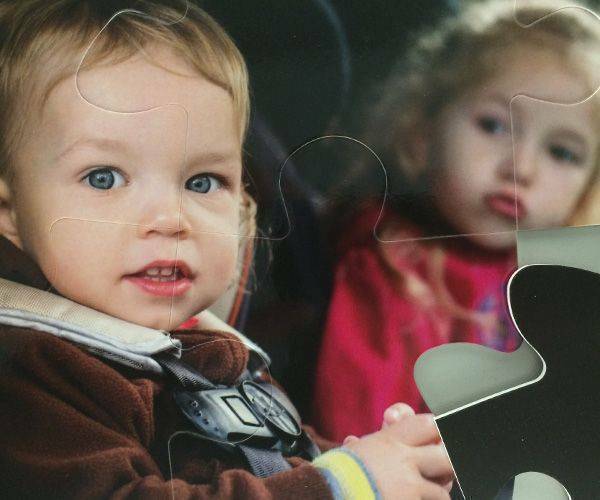 The pieces of this 6 piece magnetic jigsaw are made of good quality plastic and have a magnetic piece at the bottom. This is strong enough to stay in place but will still be easy for a child to move around. When placed on a whiteboard it will be ideal for them to show their friends, yet it can be taken apart ad reassembled on the fridge. It will be a great help to mum to know that the little one is safely occupied in the kitchen when she is busy. It is worth noting that they will not stick to stainless steel so leaving them with a child near that will not have the desired effect. They will soon learn where they can and cannot make the pieces stick. Once the picture has been uploaded a message can be added to it. 6 piece magnetic photo puzzle will be a beautiful gift to give to a special child and as the pieces are 8 mm thick, they will be able to control them with ease. Once upon the fridge, it will be possible to take it apart and just move them around. Even putting them together the wrong way will be fun as they can be removed and stuck back on with ease. If there is a problem getting the photograph you want onto the website, there is help at hand. As well as on the jigsaw, there will be a copy of the photograph on the box so it will be easy for youngsters to see what they need to make up. It will be fun to see the picture as well as actually constructing the jigsaw.